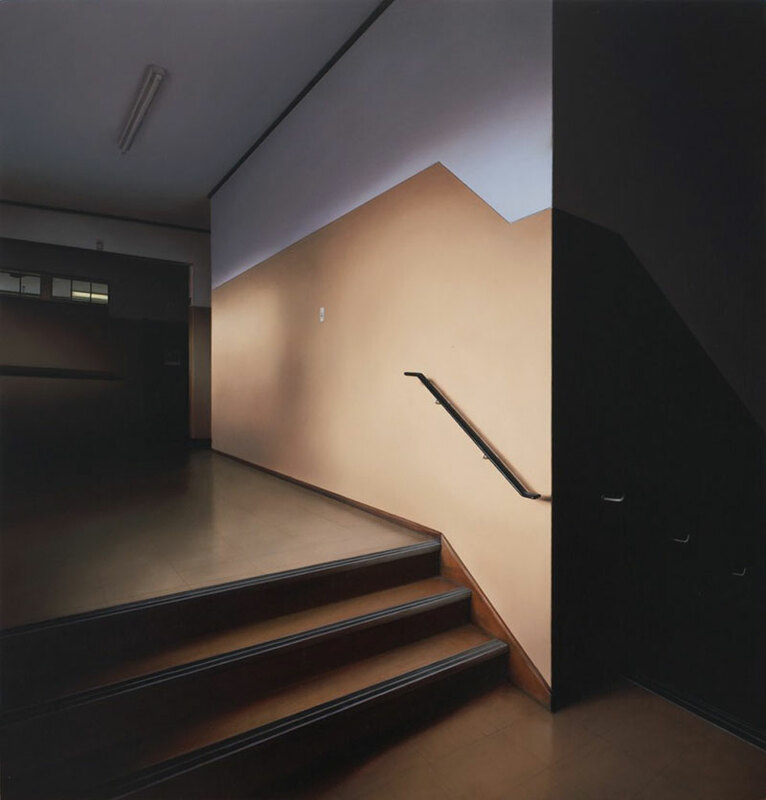 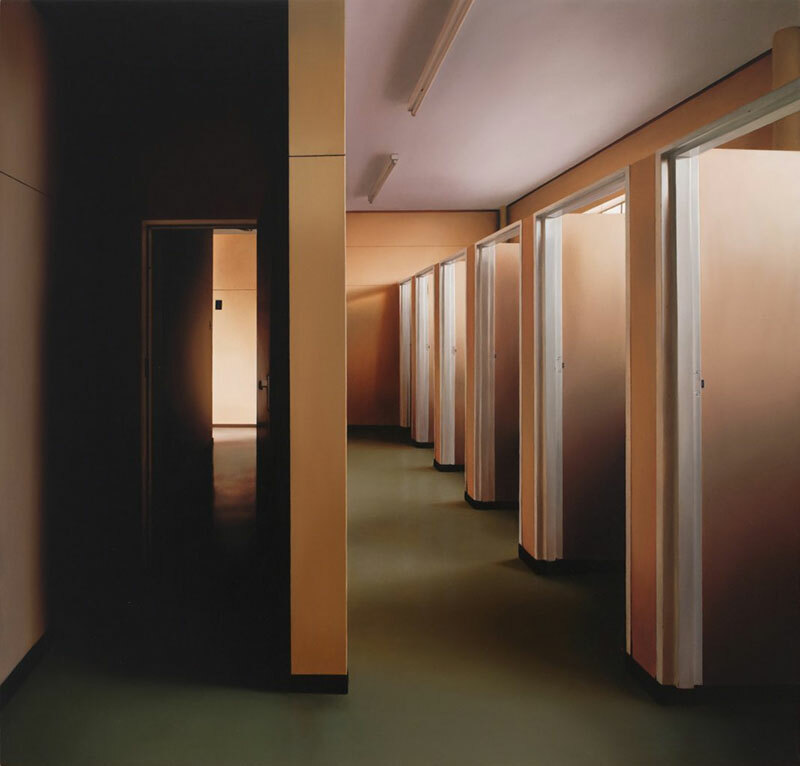 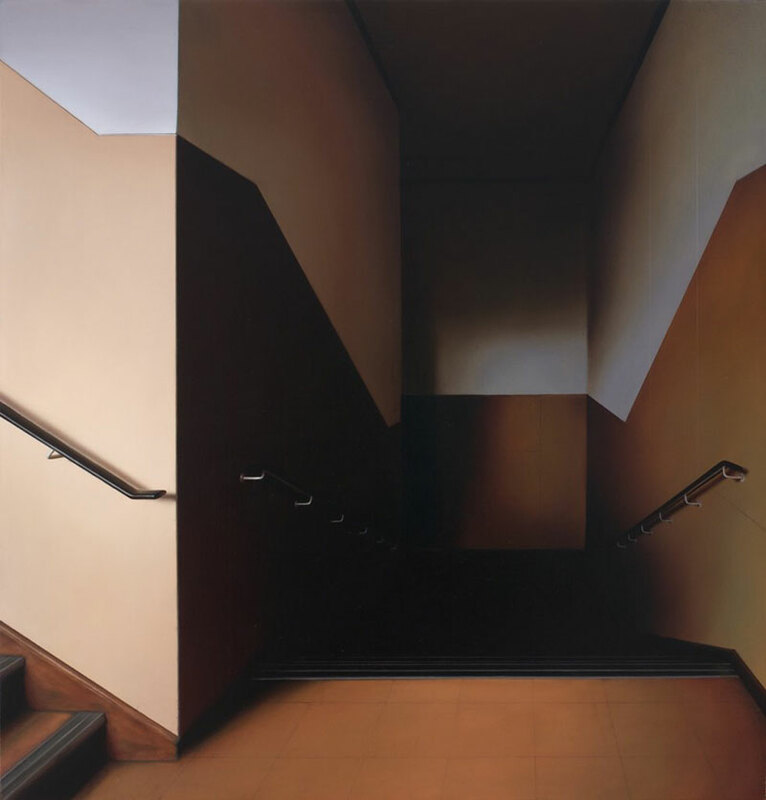 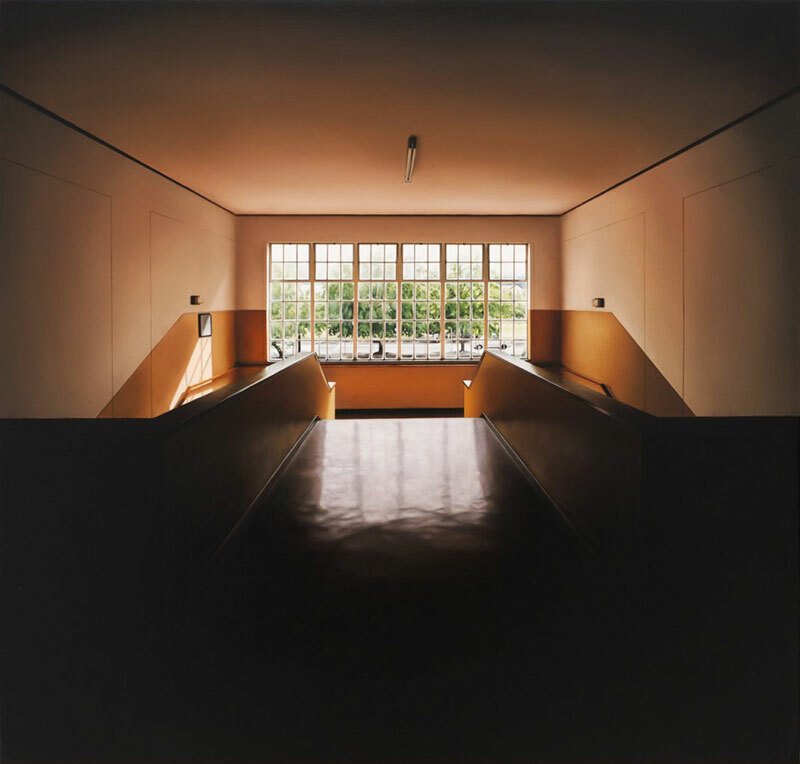 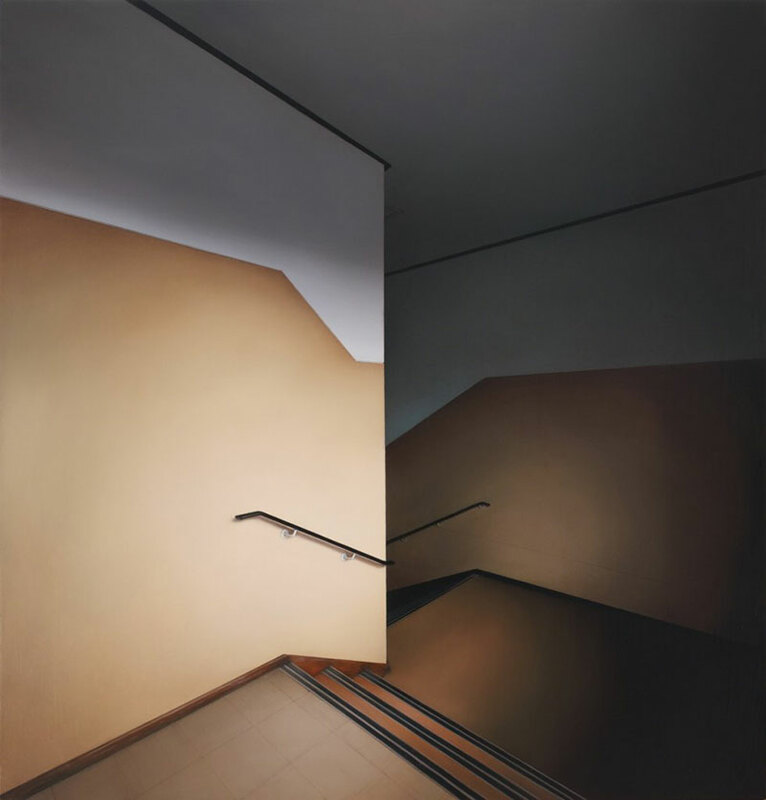 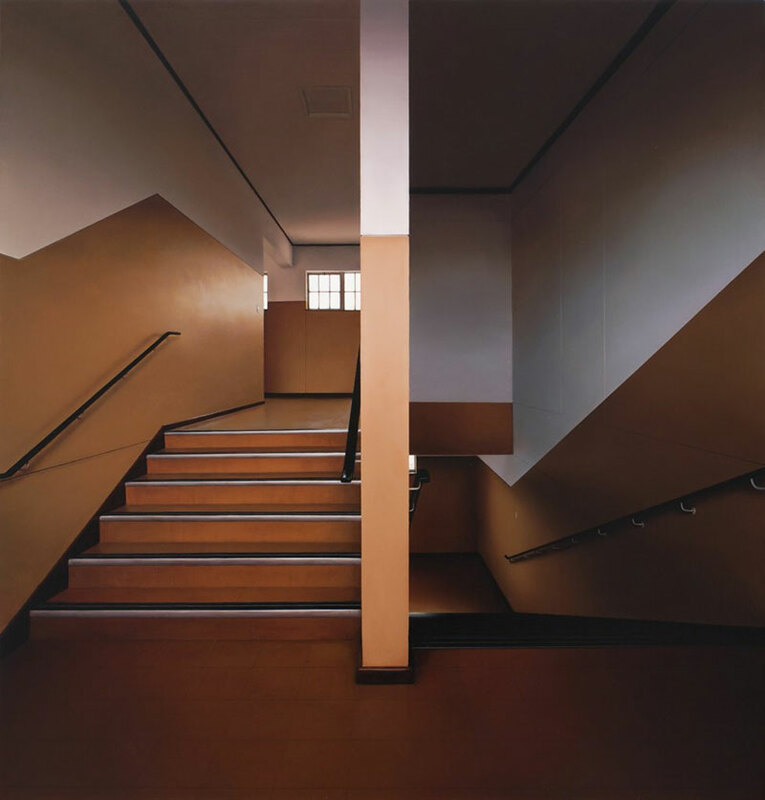 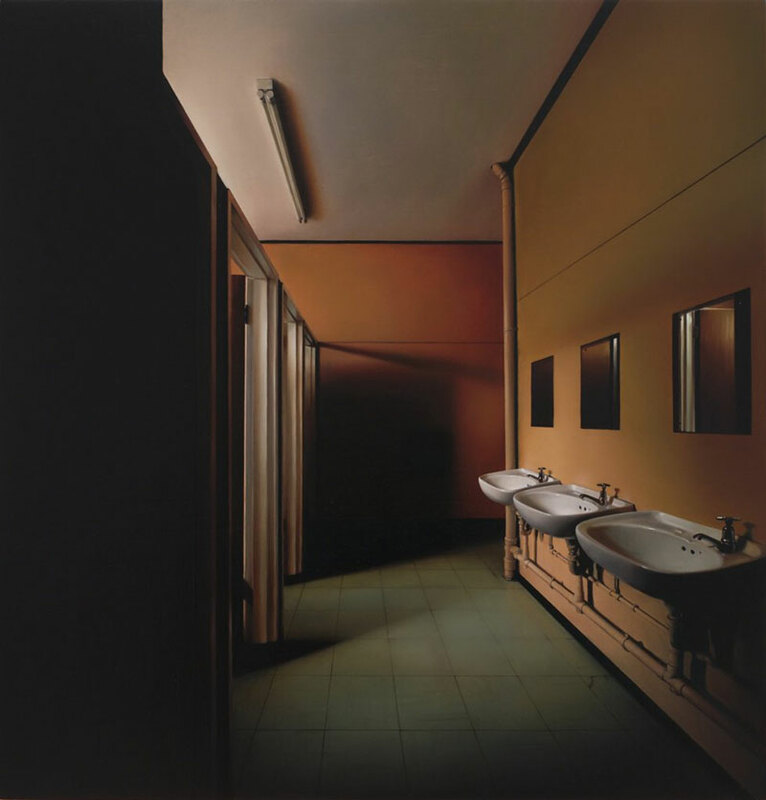 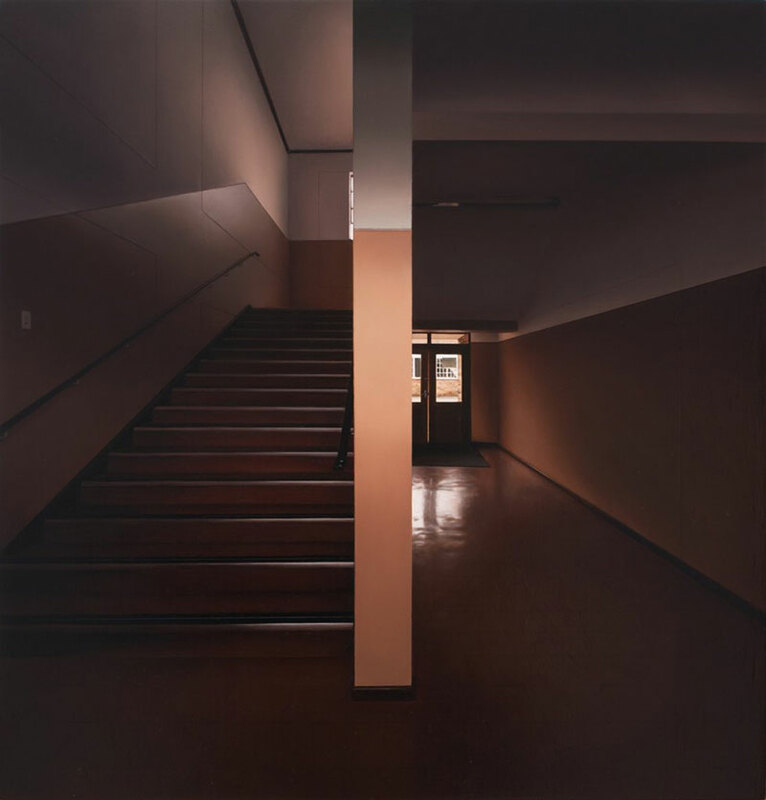 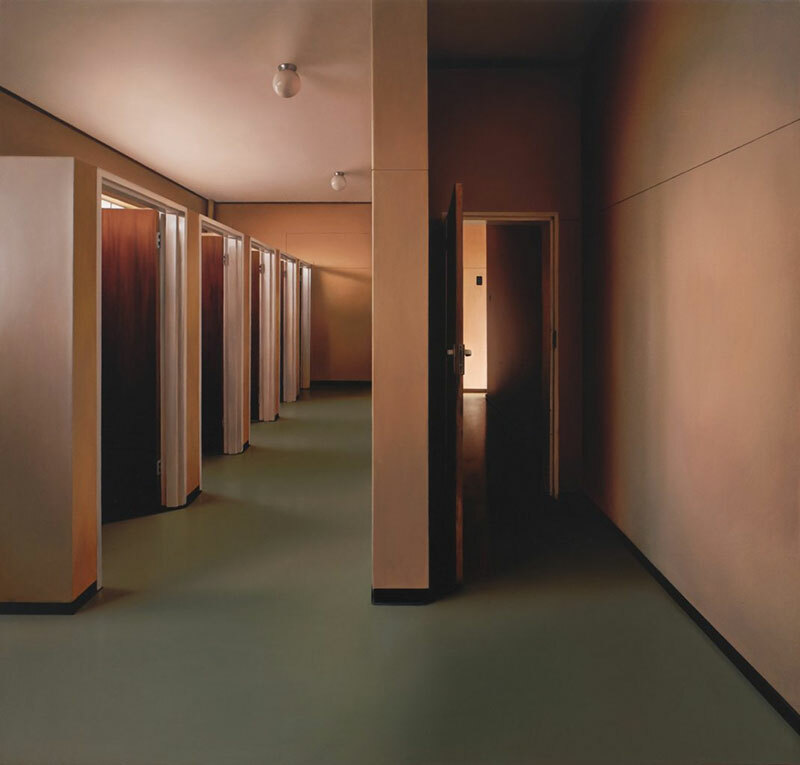 Photorealistic paintings of bathrooms and empty corridors by South African artist Gina Heyer. 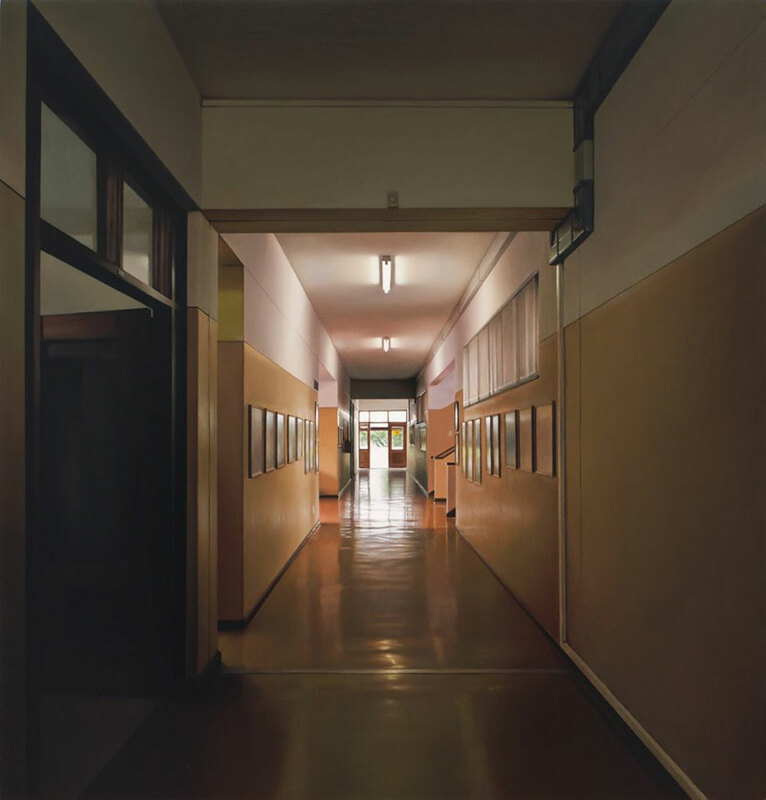 The cold, hard and repetitive interiors are depicted from different angles and there's an uncomfortable and eerie silence that permeates the scenes. 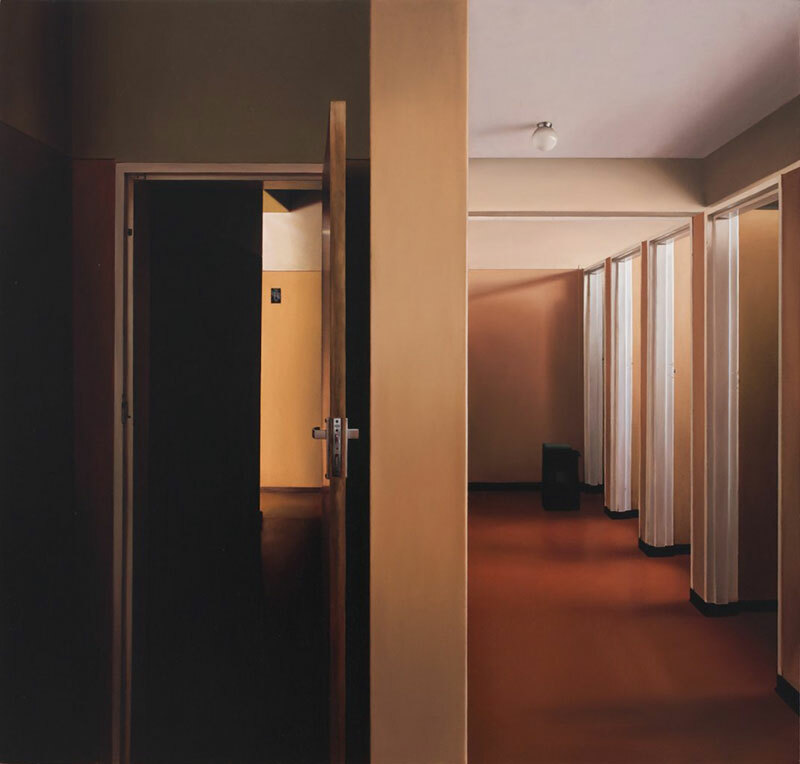 Heyer explores these interiors by meticulously rendering them in oil paint, knowing that these spaces are shaped by the people who move through them. 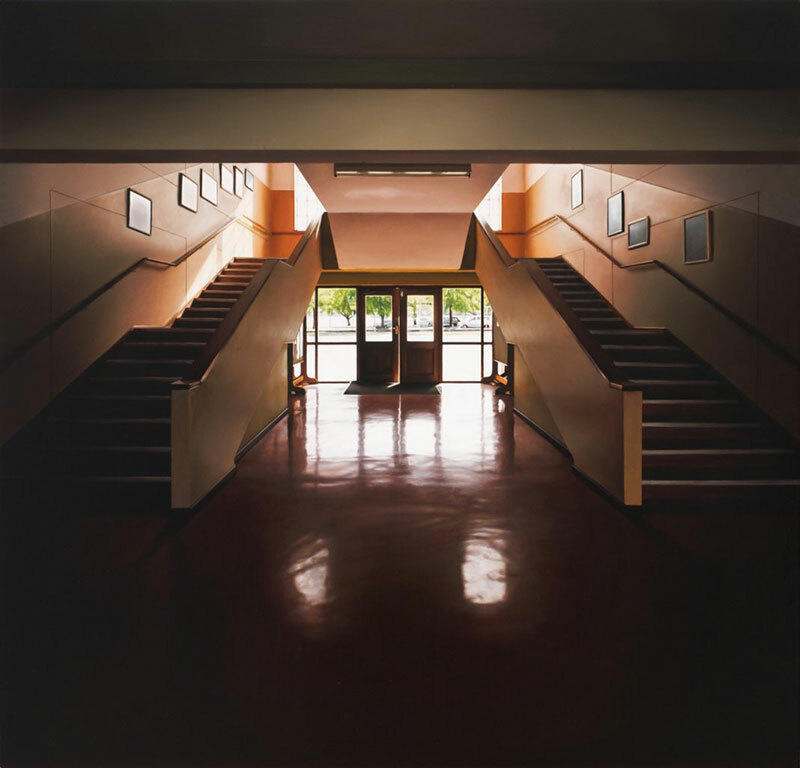 These school buildings are ordered, divided and disciplined as these are public institutions that are meant to provide a level of safety and anonymity within its architecturally and ideologically defined parameters.